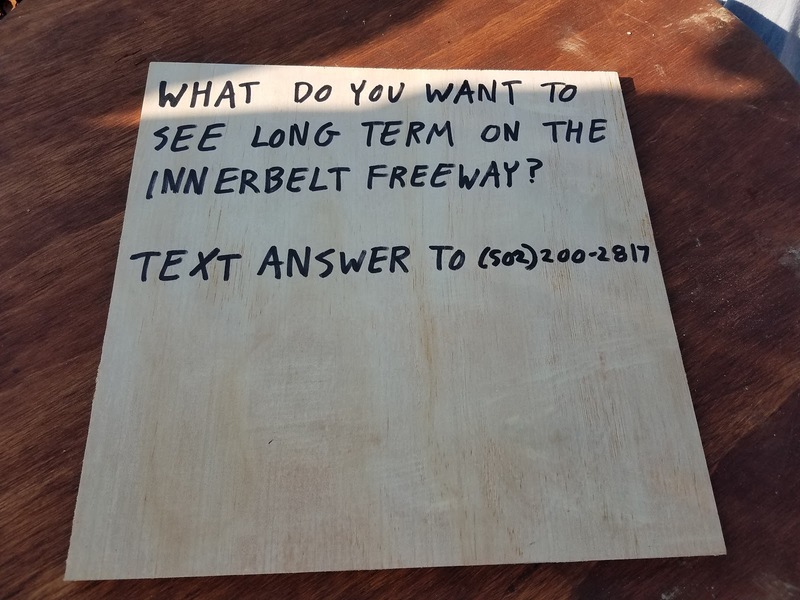 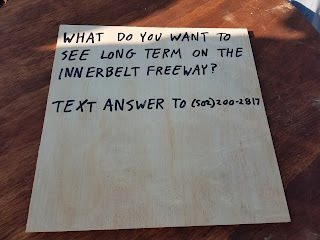 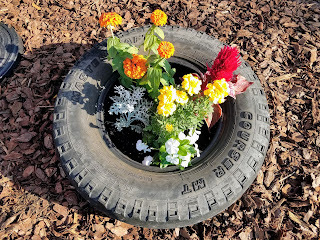 "In 2015, The League of Creative Interventionists hosted a 500 person community meal on the Innerbelt Freeway and asked residents from all over the City of Akron what they wanted to see in the future of the space once it closed to automobile traffic. 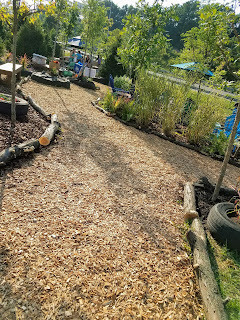 87% of the participants wanted a space for connection and nature. In 2018, we are creating a temporary green public space on an adjacent section of the decommissioned freeway to test this idea and gain valuable insight for a potential permanent green public space on the freeway. 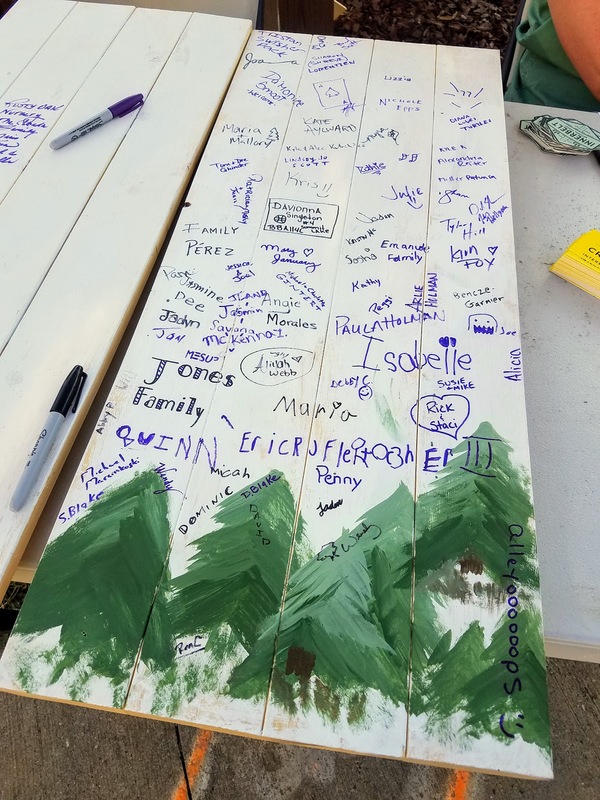 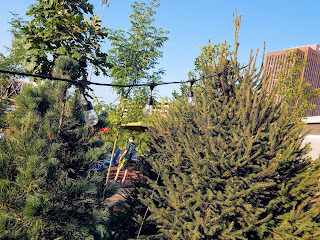 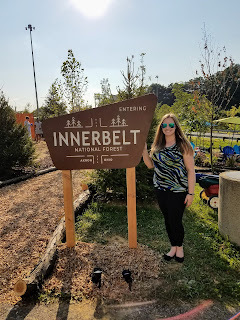 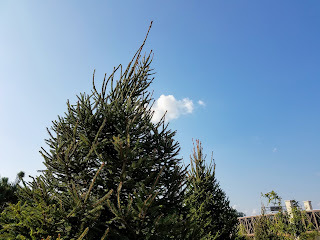 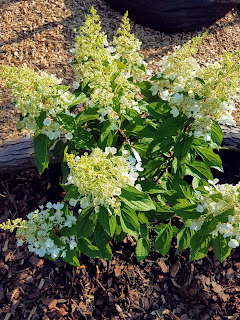 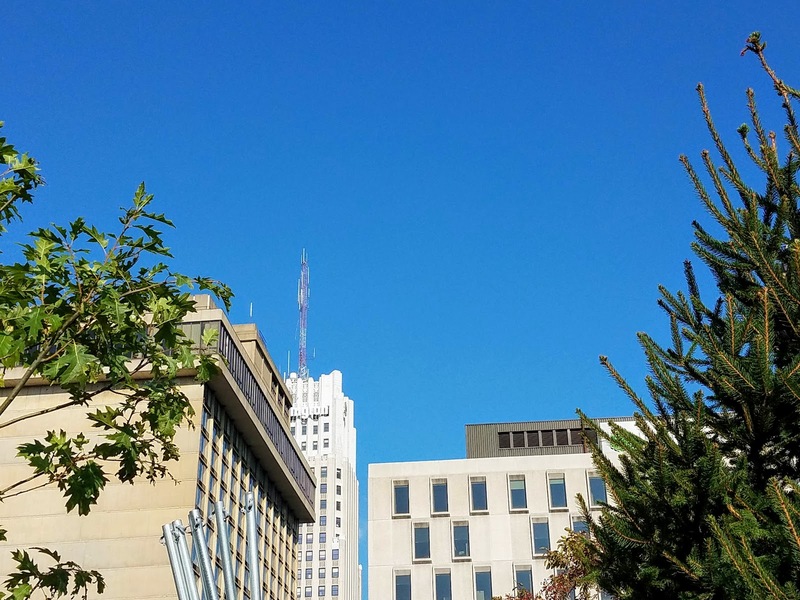 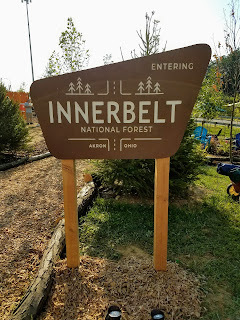 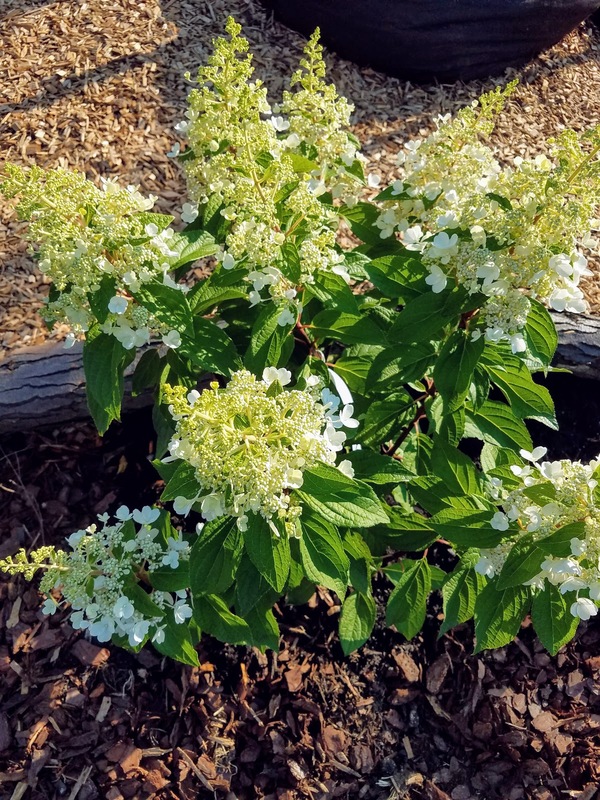 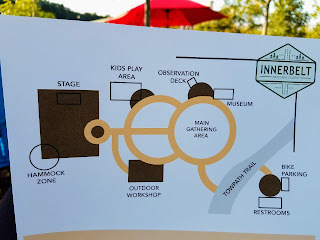 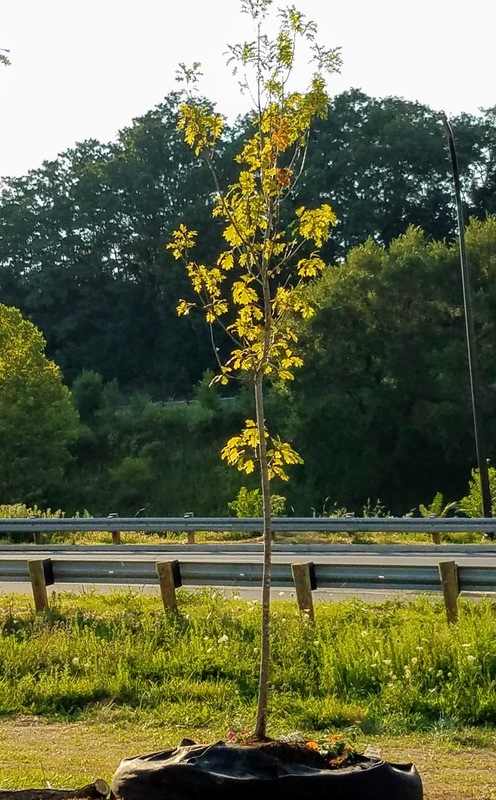 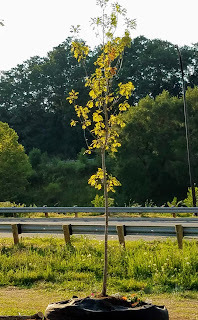 The Innerbelt National Forest will feature 90 trees, trails, and events that seek to create a connection between the Downtown and West Hill neighborhoods and provide a shared space for residents to come together. 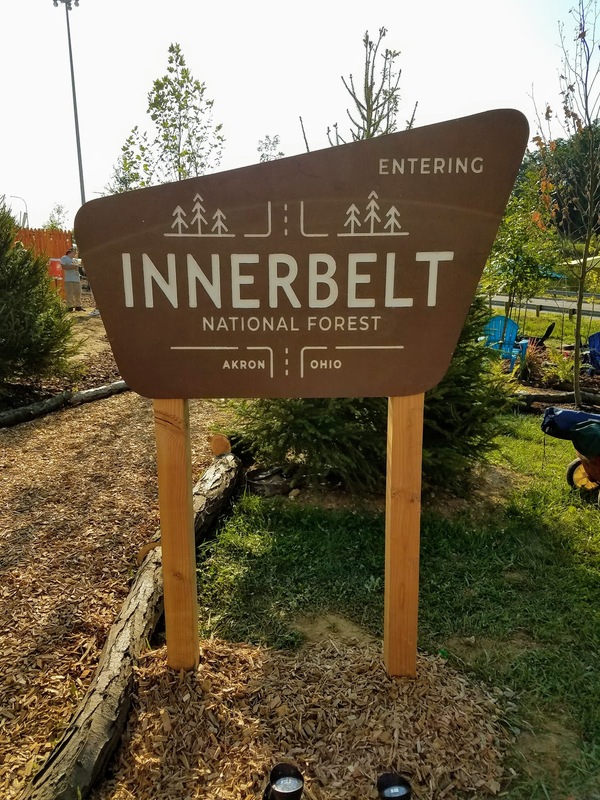 The forest will be activated for two months in August and September of 2018 and will help inform the long-term use of the Innerbelt Freeway. 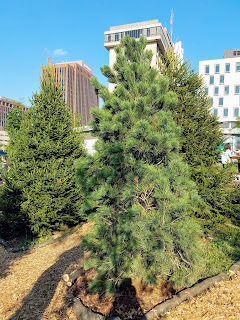 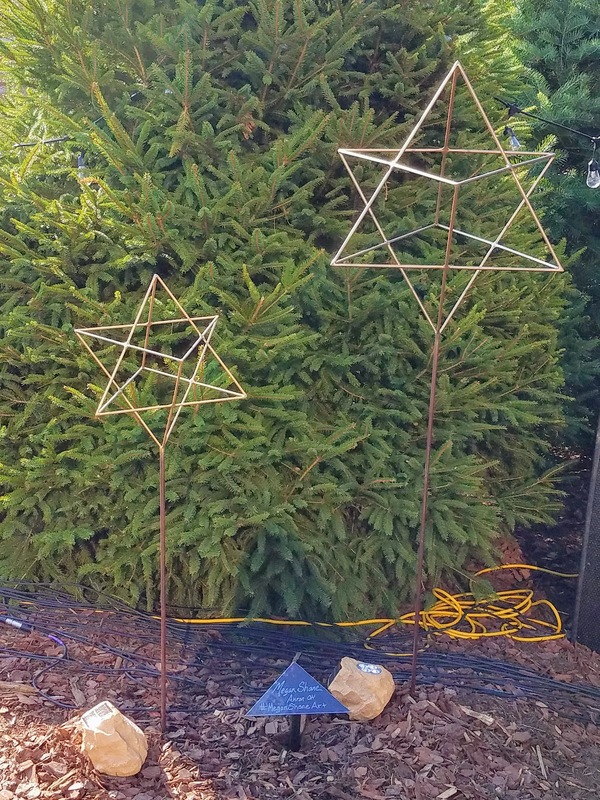 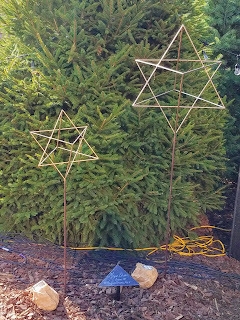 All trees and plant material will be rehomed." The Innerbelt Freeway was built in the 1970s to help revitalize downtown but it created more urban decay than urban revitalization. In 2016, the Innerbelt was decommissioned and the League of Creative Interventionists stepped in with a proposal to connect Downtown and West Hill with a public green space. 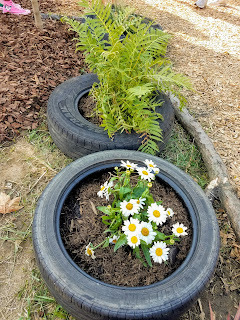 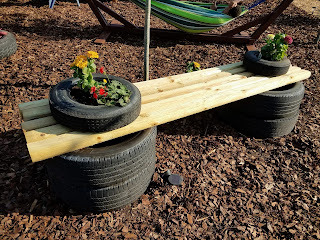 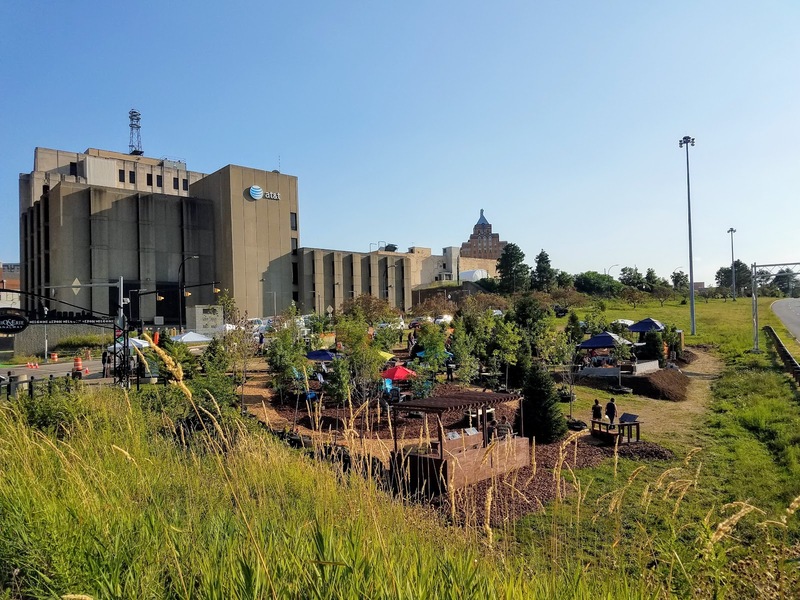 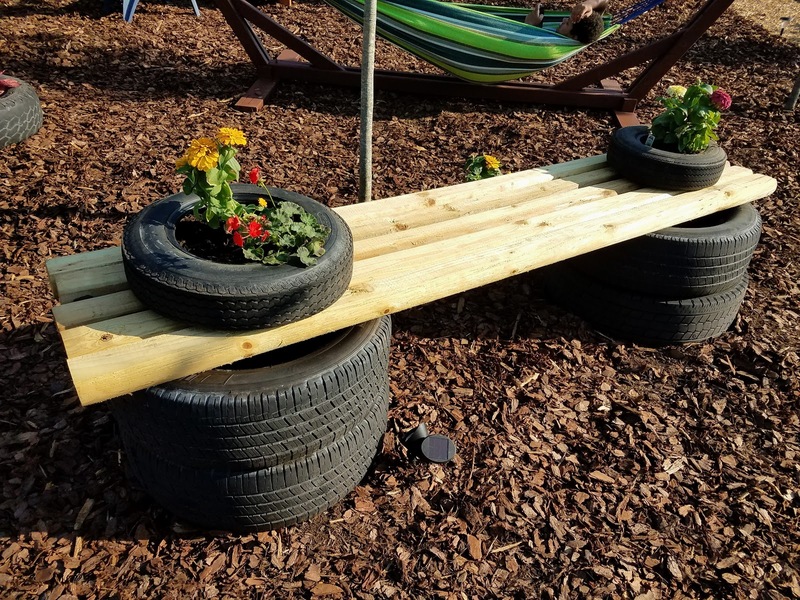 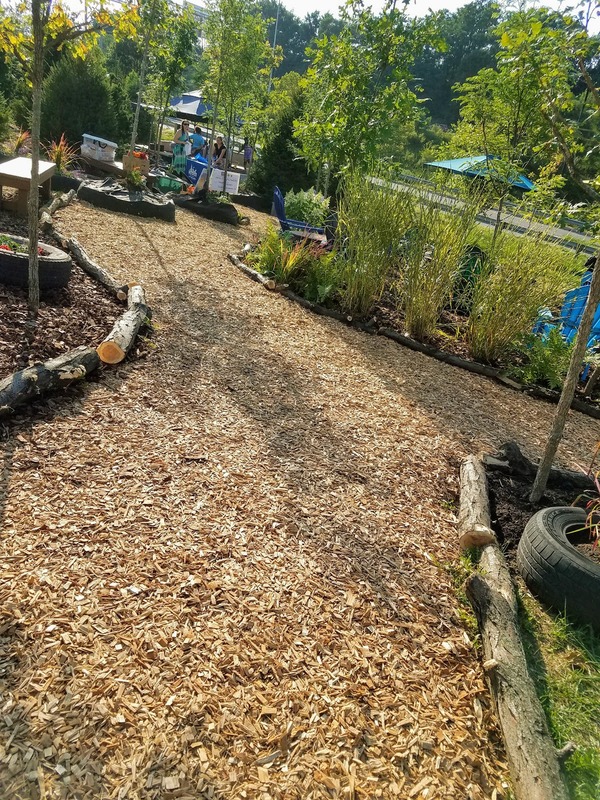 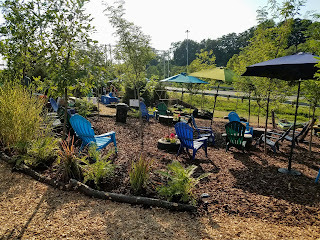 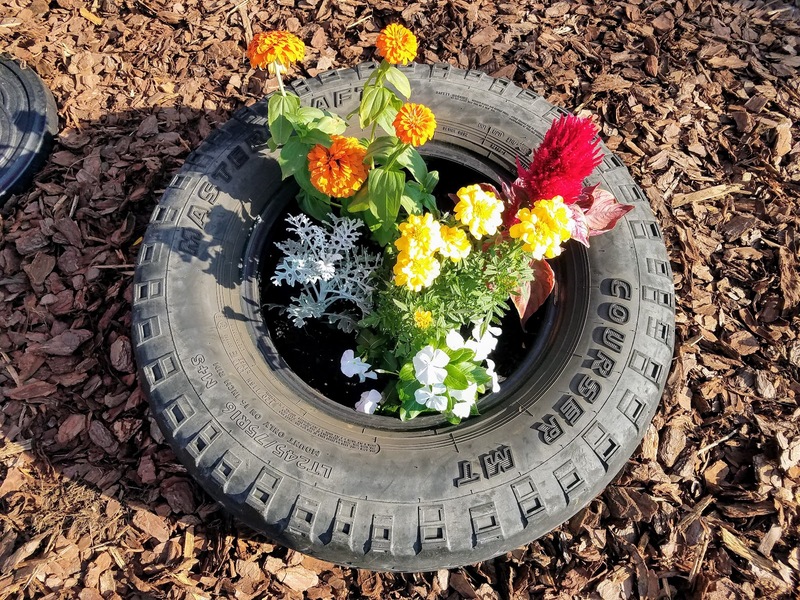 After being awarded a $214,420 Knight Cities Challenge grant the League of Creative Interventionists along with leagues of volunteers have been hard at work transforming an adjacent space along the now defunct Innerbelt into a temporary pop-up forest. 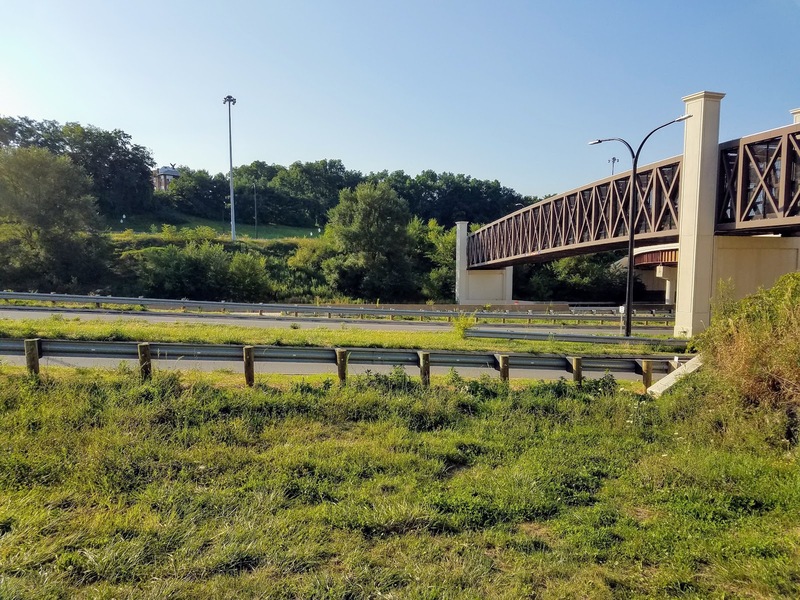 The project is intended to showcase how the Innerbelt itself could be turned into a permanent green space for the City of Akron. 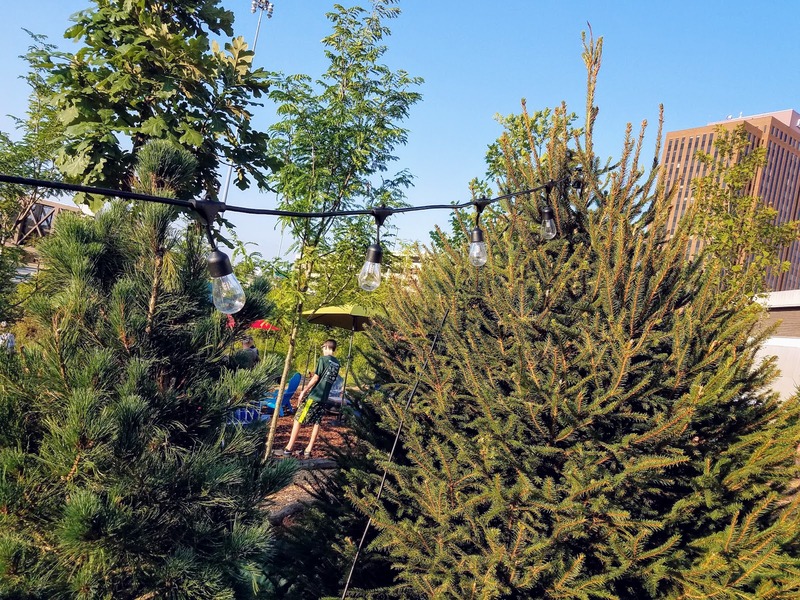 Last night was the opening night for the space which will be open through the end of September 2018. 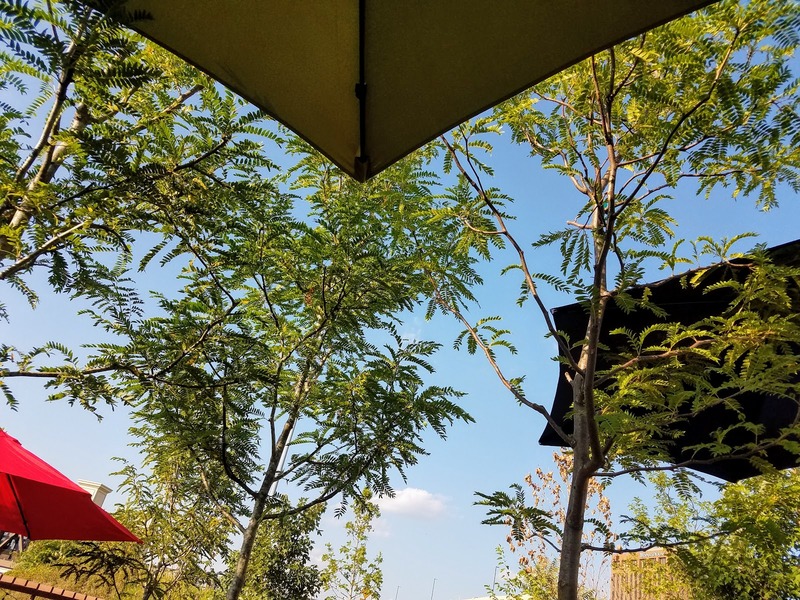 There is some parking on Ash Street, we went to Nuevo for happy hour before the opening party and then walked over from High Street. 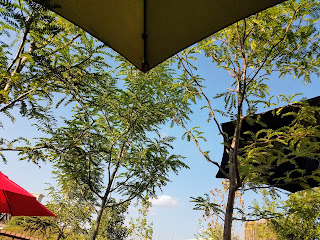 Last night was balmy, but we sat down under several of these umbrellas and just enjoyed the evening. 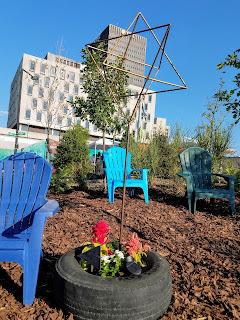 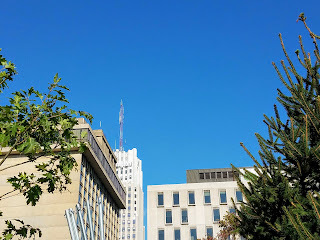 From some angles it's as though you're in an exclusive green space on the edge of Downtown and from others you can see buildings peeking out as a reminder that this is only a temporary oasis. 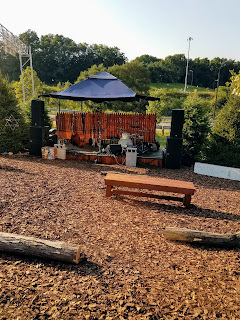 Last night Gum Dip Theatre and Shivering Timbers put on performances from the stage. 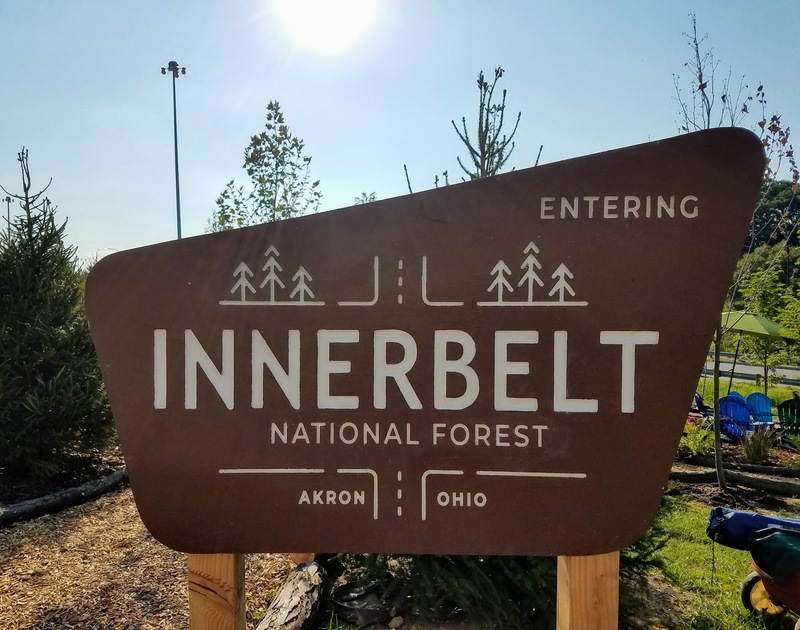 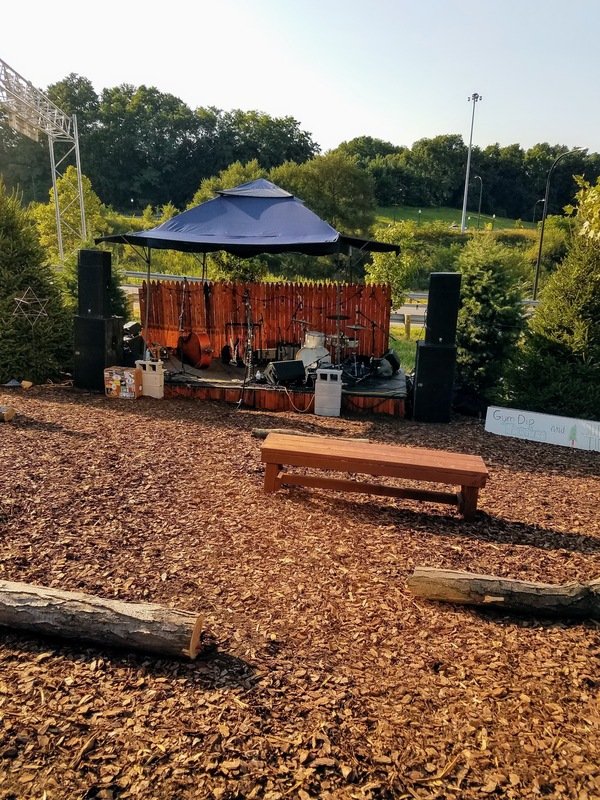 Throughout the next two months there will be a variety of performances held at the Innerbelt National Forest. 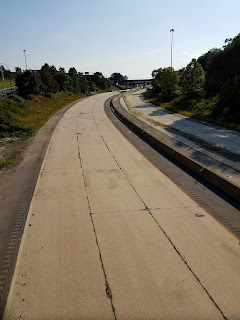 The decommissioned Innerbelt from the Towpath bridge connecting West Hill and the Innerbelt National Forest. 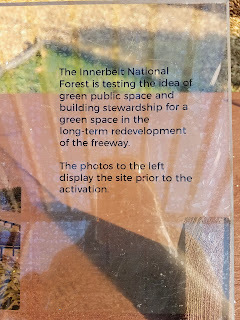 A snapshot of the Innerbelt National Forest from the Towpath Bridge. 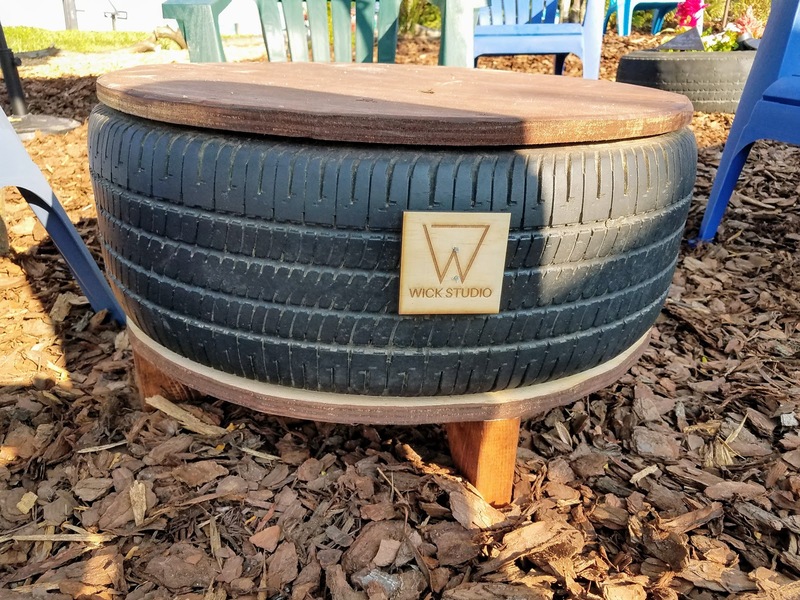 I'm obsessed with these tables from Wick Studio. 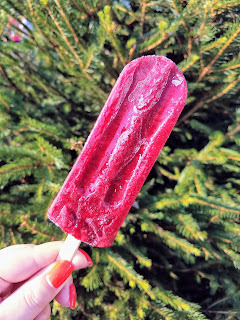 I'm always so excited when I see the Popsmith at events -- flavor pictured Blackberry Watermelon. We both enjoyed the Innerbelt National Forest, we weren't sure what to expect. 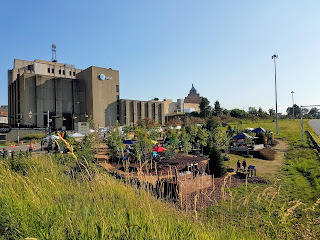 There's nothing really like this in the Downtown Akron area and with time and cultivation even part of the Innerbelt being turned into this type of space would be an amazing addition to Akron. If you can take the time, go support this project during the next two months and let the city know what you think of the space!